I would like to personally welcome you to the City of Tiffin. We are a small city with big opportunities. Whether it is enjoying the quiet life without the hustle and bustle, or the great working and shopping prospects that are minutes away we have what you are looking for. 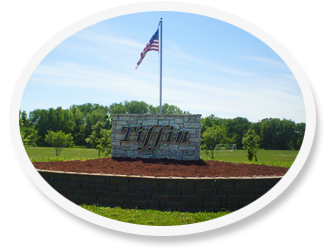 Tiffin prides itself with a long history and strength of a growing community. I have been Mayor since January 2012 and look forward to serving you in a positive and professional capacity. Our website offers plenty of information and resources for your review. If you still need assistance, our City Hall staff can assist you further. We will always welcome your comments and ideas on how to make our fine city better in the future. If you are interested, there are usually committees or projects that we can use volunteers for, please give us a call. Tiffin is an amazing place to raise children and have strong family roots in place. Calling Tiffin home is definitely where my heart is. Thank you for your continued support. Let your voice be heard! What do you want in a Recreation Center? An outdoor pool, basketball courts, indoor track or maybe you would want child care during a yoga class? During the New Year Season we wanted to remind Tiffin Residents that within the City Limits of Tiffin, the use of fireworks are prohibited. See below the Tiffin City Code Section 41.13 FIREWORKS. Johnson County Sheriff Department will be out and enforcing this year.